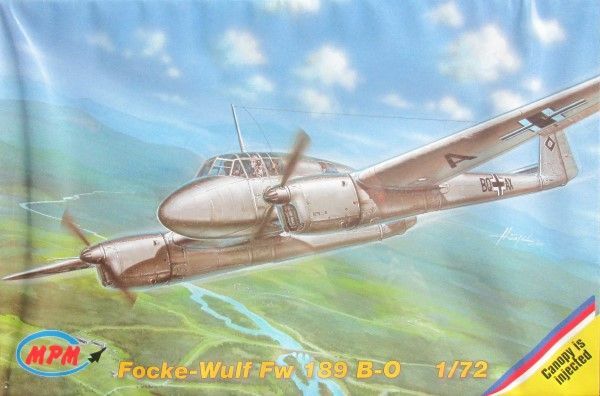 The Focke Wulf Fw189B-0 was a 5 seat training version of the 189. MPM is a Czech based manufacturer and this is their 1/72 FW189B-0 kit. The kit is injection moulded plastic and is well detailed with engraved panel lines. Markings are provided for all 3 Fw189B-0's.